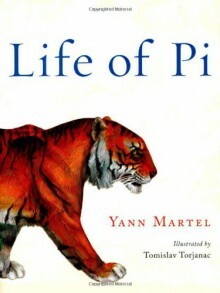 Life of Pi, first published in 2002, became an international bestseller and remains one of the most extraordinary and popular works of contemporary fiction.In 2005 an international competition was held to find the perfect artist to illustrate Yann Martel s Man Booker Prize winning novel. From thousands of entrants, Croatian artist Tomislav Torjanac was chosen. This lavishly produced edition features forty of Torjanac s beautiful four-color illustrations, bringing Life of Pi to splendid, eye-popping life. Tomislav Torjanac says of his illustrations: My vision of the illustrated edition of Life of Pi is based on paintings from a first person s perspective Pi s perspective. The interpretation of what Pi sees is intermeshed with what he feels and it is shown through [the] use of colors, perspective, symbols, hand gestures, etc.